Continuing its efforts to provide a clean and eco-friendly travel to train passengers and at the same taking a step forward in fulfilling Rail Minister, Suresh Prabhu's vision of clean railways, the Rail Coach factory (RCF) based at Kapurthala in Punjab has decided that all the 1600 coaches manufactured by it in the next fiscal year would be fitted with Bio-toilets. RCF is a coach manufacturing unit of Indian Railways. In this fiscal year it has fitted 950 coaches with bio-toilets, out of the total 1300 coaches it manufactured. Overall, it has fitted over 2400 coaches with Bio-toilets as on date. It is pertinent to mention here that stressing on the need to work towards Prime Minister, Narendra Modi's 'Swachh Bharat' drive, Rail Minister Suresh Prabhu in his budget speech said, 17,000 more toilets will be replaced by bio-toilets. 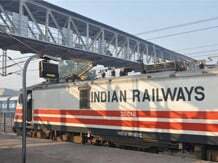 Speaking to Business Standard, a senior official in Rail Coach Factory at Kapurthala informed, "From next fiscal year i.e. 2015-16, all the coaches including conventional and LHB (Linke Hoffman Busch) coaches manufactured here will be fitted with Bio-toilets." In bio-toilets also called green toilets, a colony of anaerobic bacteria convert human waste mainly into water and small amount of gases (methane and CO2) in the bio-toilets has been fitted underneath the lavatories in coaches. The gases emit into the atmosphere and waste is discharged after chlorination onto the track. Human waste thus does not fall on the railway track. This procedure is environment-friendly and improves the working condition for the railway track staff. According to railway officials, defacement and corrosion of railway tracks by night soil cost the exchequer in crores. The bio-toilets has the advantage of preventing corrosion of railway tracks, as it prevents discharge of human waste from the coaches. So all new coaches inducted into Railways will now come fitted with bio-toilets. RCF in association with DRDE (Defence Research and Development Establishment), developed this highly cost effective indigenous technology for treatment of faecal waste in coaches. The technology provides an almost maintenance free and a low cost solution to the problem of open defecation on the railway tracks. On being asked the production of coaches in current fiscal year, he added," We are targeting to produce 1523 coaches this year against the installed capacity of 1,500 coaches per annum. Till date we have produced 1300 coaches of different variants like Rajdhani, Shatabdi, and other mail/express trains.